← Bring on the Flying CodeMonkeys! A little while ago a children’s librarian from Minnesotta contacted me for moral support with starting up some children’s digital programming at her library. Her name is Anne Freidrichs and she’s been a children’s librarian at the Dakota County Wescott Library for 10 years. 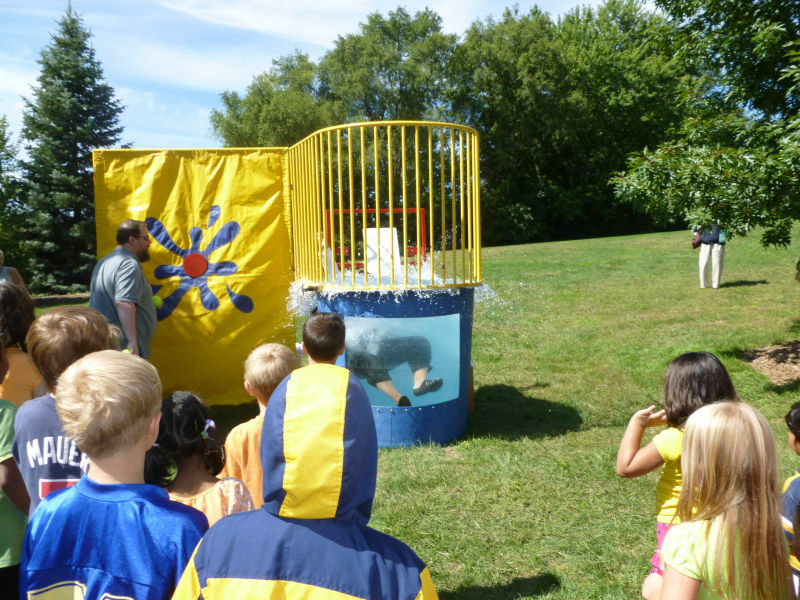 She’s kept in touch every now and then, and recently she sent me this photo of her being dunked in the dunk tank as a part of SRC festivities. What a dedicated bunch we children’s librarians are! I love hearing about what projects other librarians are working on. Posted on September 1, 2012, in Libraries. Bookmark the permalink. Leave a comment.